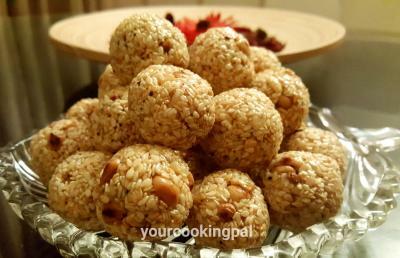 Til Ladoos, a festive, traditional winter dessert that is specially made during Lohri / Sankranti. They are made from Jaggery(Gul) and Til ( sesame Seeds). 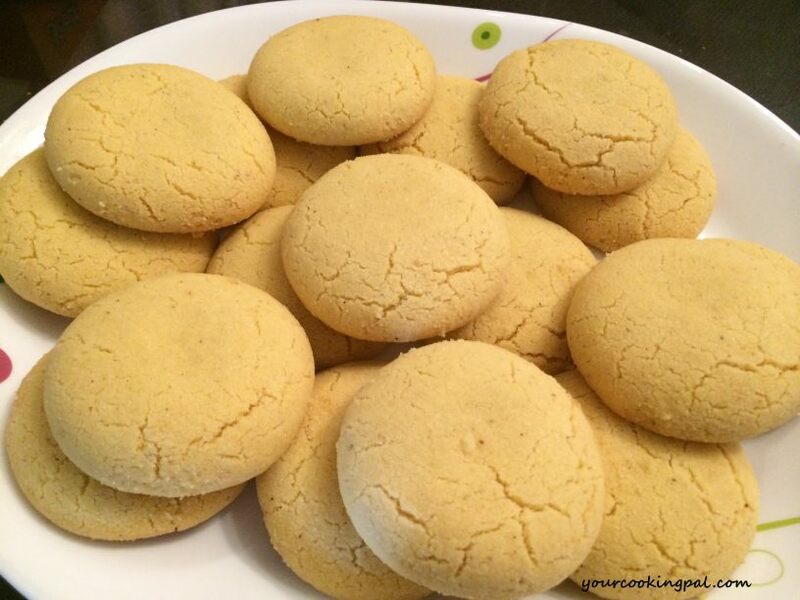 These are very easy to make and taste super delicious. 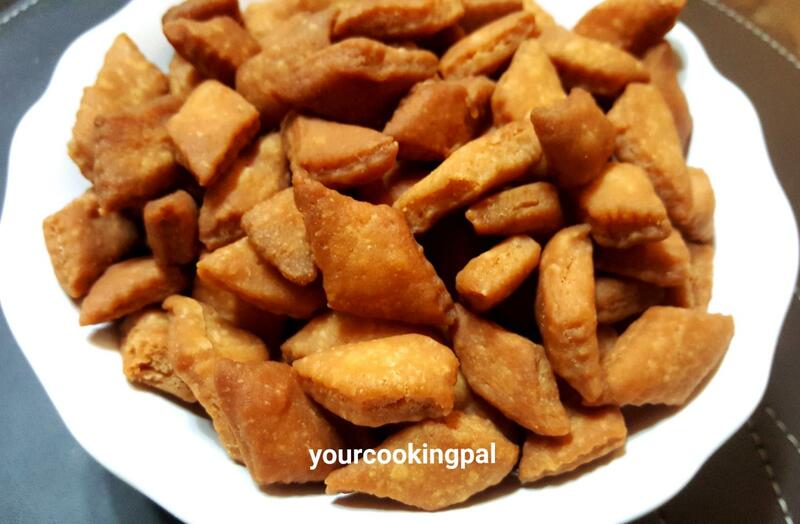 Roast and slightly pound the groundnuts and cut the gudh ( jaggery) into small pieces and keep aside. In a pan, roast til until they appear well roasted and slightly change colour. 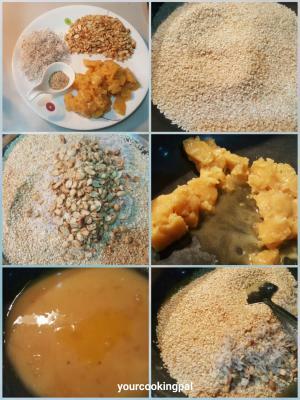 Cool the til ( sesame seeds) down and mix the groundnut and grated coconut to it. In a thick bottomed kadai, add the gudh ( jaggery) and keep stirring continuously until it melts and turns liquid. ( doesn't take more than 4-5 minutes. Add 1 tsp ghee and mix well. 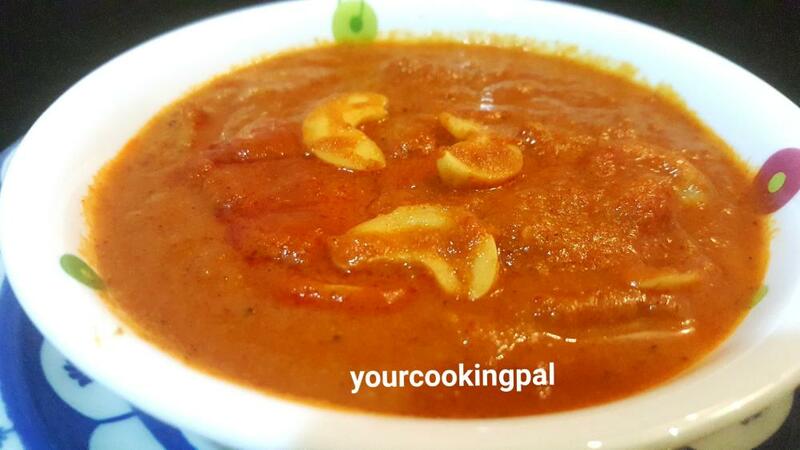 Immediately add the mixture of sesame, peanuts and coconut into the hot melted gudh(jaggery). Add the cardamom and Nutmeg powder and mix well for a minute or so. 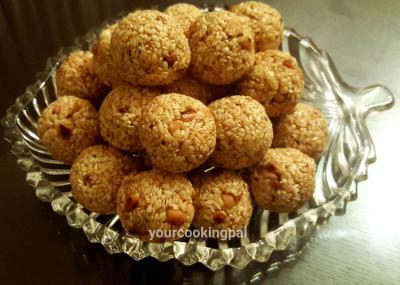 Apply ghee on your palms and immediately shape them into small balls ( ladoos). 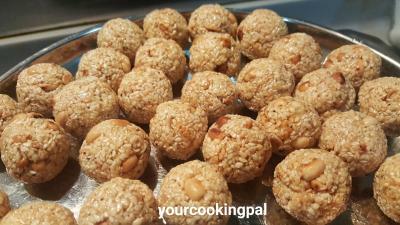 If you want the laddoos to be tougher stir and melt the gudh a little longer. The longer you stir the gudh the tougher ( hard) the ladoos will be. 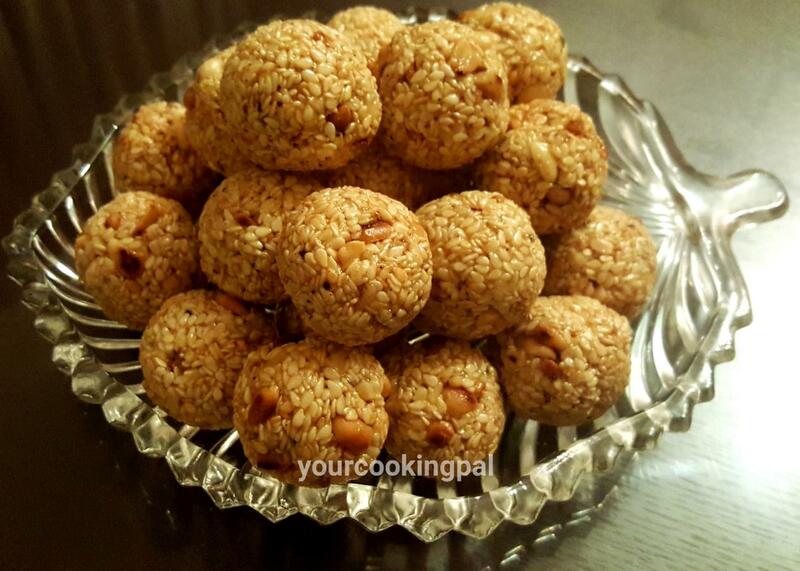 However this method of adding the til (sesame) as soon as he gudh( jaggery) turns into a liquid form make the laddoos just right to eat.